“Researchers at the University of Oregon have recently unearthed fossils in South Africa that present evidence of life on land 2.2 billion years ago—four times older than traditionally thought. The fossilized organisms, dubbed Diskagma buttonii, are no bigger than the size of a standard match head and were found threaded together in bunches. Though researchers are still unsure as to their biological function, the organisms most closely resemble a modern fungus calledGeosiphon. 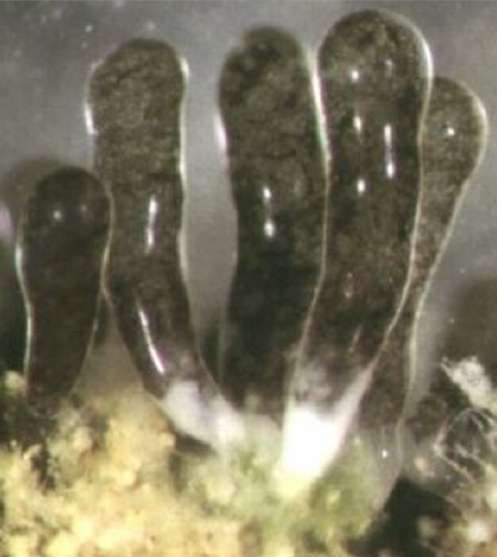 The team believes Diskagma could be the oldest known eukaryote, a cellular organism containing a nucleus.